There are various amounts of steps that need to be taken in order to start and own a business before you worry about your company identity. Do you need a business license? Of course, you will need to register with the local, state and federal authorities. Many business require a license to be legally operational, therefore this process is arguably the most important. To become a successful business owner, you must have your licenses approved and paid for. By reading this article, you will learn the basics of business licenses in order to start your own business and keep it running smoothly. To start, you must understand the different types of licenses required within your state. These government regulations are extremely important. This is why there is the best state to incorporate. While all states are different, the licenses and permits remain relatively the same. There is an array of different licenses, but the most common one is the basic business license. The basic license can be obtained from your city and will allow the business to operate legally. Permits are generally required in regards to the sale of alcohol, construction work and taxation. Finding out which licenses and permits are required for your new business is essential to ensure it can continue to run. Of course, there are certain types of business which do and do not require a license. Many of those which do not require a license include freelance positions and home run services. For example, freelance writing, independent craftsmanship, and any other in home related sales do not require additional licenses. Businesses which do require a license and are often heavily regulated are food services, cosmetics, and any home design or repair construction. All of these businesses should know about The 8th Habit. Knowing which category your business falls under will help you to decide wether you are in need of any licenses or permits. You may be wondering “do I need a license for online business?” The short answer is yes. If your online business is operating with the goal and intent of generating revenue, the same rules that apply to a brick and mortar business apply to you. However, you may be able to work around this if you are not selling goods or services to the public, like proprietary technology. Regardless, you should still get a license. This will protect you in the case that you want to earn revenue from on site ads or similar. Make sure your online business obtains the licensing it requires. You will not regret it. What If You Don’t Get Your License? If you choose to forego the process of obtaining the proper licenses and permits in order for your business to operate, there are a plethora of different consequences you may face. These can vary by state. Generally, the most common consequence a business owner will face is being forced to permanently close down. Other penalties may be high fines, suspensions, or even law suits. Although it may not result in jail time, the repercussions are still serious. Taking the steps to obtain all the required material for your business will allow everything to proceed without any complications. 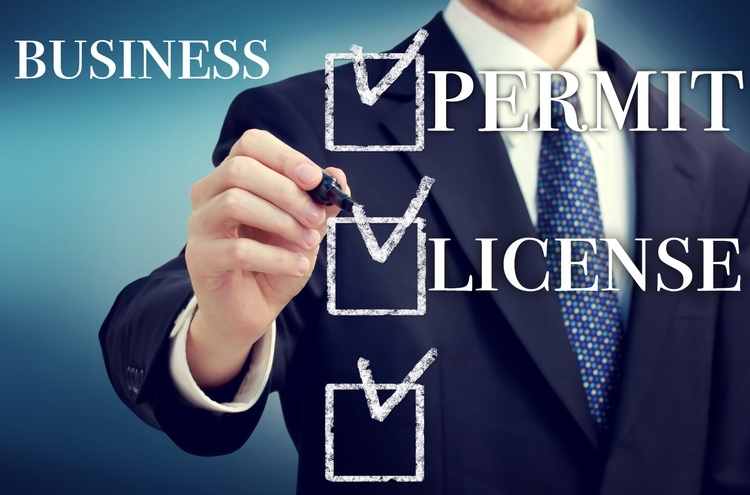 To get a business license, you must apply for all of the required permits through the state. First, go online to your state website. You will want to find their licenses and permits page. This page will inform you of everything you need to know and obtain in order for your business to begin. After filling and mailing in your forms, you can wait for your license approval in the mail. In the meanwhile, take the time to set up how to accept credit cards. In conclusion, many business may not require a license or certain permits. However, it is important to research the regulations and requirements within your state before you ever worry about market positioning. Failing to obtain the proper legal certifications can lead to the business being closed down. Knowing your business and state rules will keep everything in check. In addition, it would allow for you and your business to continue to grow for many years into the future.